The world is changing more rapidly than ever before. By extension, this means that the way you do business is changing more rapidly than ever before. Being able to embrace change and stay ahead of the competition is the key to success in today’s business world. For many businesses, the ability to adapt to the changing business climate hinges on the ability of their workforce to learn, adapt, and grow. Employee education programs can show direct benefits on the business financial statement. However, these programs are about more than just dollars and cents that get tallied up at the end of every quarter. A great employee education program can help with recruitment and retention, employee engagement, and internal workforce development. Of course, all of this sounds really nice but how can businesses actually put it into action? More importantly, how can a good employee education program become a great employee education program? Implementing an effective education program first requires a needs assessment. What are the needs of the business and what are the needs of individual employees? Without this direction, the leader of the employee education program is going in blindfolded. This ultimately leads to a generic education program that drills down to solve actual pain points within the business. Another great reason to do a needs assessment is to generate ideas. No one is a mind reader. Without asking, it is impossible to know where individuals may identify their own areas of weakness, so this can help provide some direction for the training program. Once the needs of the business and the needs of the individual employees are clear, it is important to connect those needs in a clear way. For example, if employees identify a need for better customer service training, the business can connect this individual need to the overall organization need of reducing churn by 25%. By creating that connection, it will be easier for employees to see how their own growth and development ties into the goals of the business as a whole. Gauging the success of an employee education program ultimately comes down to the results that it can provide for the business. To do this, the business must set goals to work toward upon completion of the employee education. When creating goals, it is important to create SMART goals. SMART is an acronym that helps guide the goal creation process. It stands for: specific, measurable, achievable, relevant, and time-bound. A SMART goal provides a clear direction forward. When we talk about specific goals we want to see hard numbers and outcomes. “Improving customer service” is not a specific goal, but “reducing churn by 25%” is very specific. Measurable defines how the business will track progress and results. In the previous example, it is very easy to understand how the goal will be measured. It’s also important to make goals achievable. After all, there is no point in putting effort into a clearly unrealistic goal. A relevant goal ensures that goal setting doesn’t stray too far from the company objectives. Are goals within the control of the people in charge of achieving the goals or are there outside factors which cannot be controlled? Does the timeline of the goal make sense for the business? All of these are important questions to ask when ensuring a goal is relevant. Finally, a goal must be time-bound. This means that there is a point in time where the goal is either considered achieved or not. Undefined timelines mean that a goal can sit in limbo forever – no opportunity to assess if there was a success or where improvements can be made. To achieve organization-sized goals there must be the opportunity for people throughout the organization to take part in the training. This is still true on a smaller scale when an employee education program is being developed for a specific business unit or department. Full participation is required to see the full benefit. When in-person training is not possible, there may be options including recorded videos, mobile training courses, or independent learning objectives. This also helps employees – that learn using different methods or at a different pace – manage their learning in the way that is best for them. Many people often buy into the initial excitement of a new employee education program. The secret to successful, long-term workforce development is keeping that excitement going during the program as well as after the program is complete. One way to do this is with mini-marketing campaigns that promote events or giveaways for employees. A launch event for an employee education program is a great way to get people excited and show that the company takes employee education seriously. Giveaways are another great way to keep the excitement going throughout the education program. Have a random draw that includes employees who complete the program and give away a paid day off, a gift card, or a hot tech gadget. No matter what, keeping the excitement alive beyond the initial announcement of the program is essential. If employees lose interest, then they will not take the required information from the program and the ultimate goals for the business will not be met. Be creative and have fun as you engage with employees. 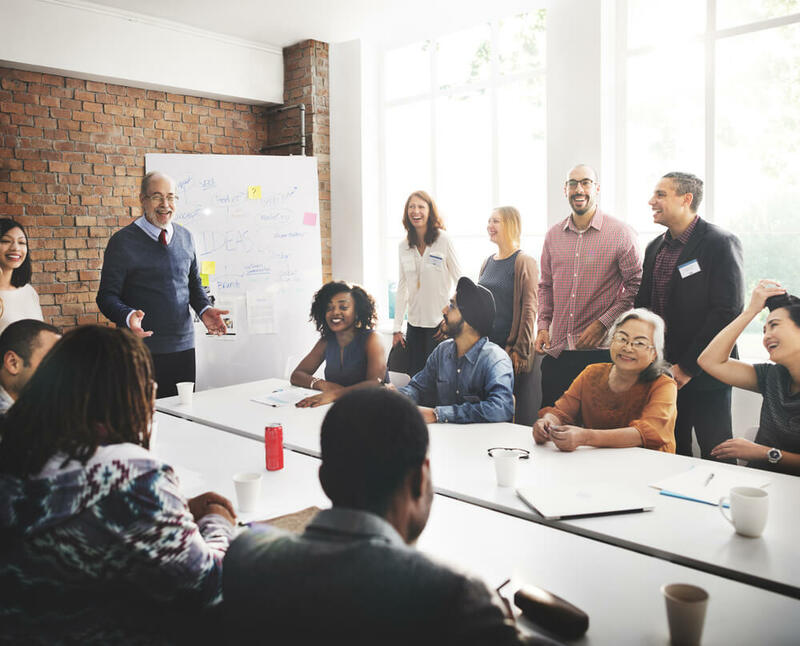 Creating a customized and effective employee education program can help ensure your business continues to thrive, attract top talent, and develop existing talent from within. Today, a basic slideshow presentation cannot provide the education employees need to deliver the results that companies need. If your business is looking to develop a successful workforce development program fit for today’s modern business world then contact us at Mooney Lyons. We will work directly with you to create a program designed to deliver exceptional results.